Gov. Greg Abbott and U.S. Rep. Henry Cuellar, a Laredo Democrat, pressed the Department of Homeland Security on Monday to explain why the agency plans to reduce its aerial surveillance on the Texas-Mexico border. Gov. 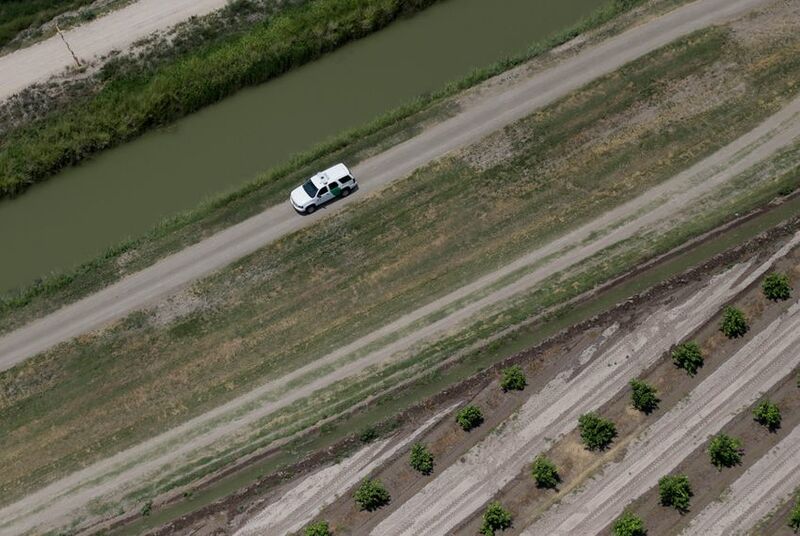 Greg Abbott and U.S. Rep. Henry Cuellar, a Laredo Democrat, pressed the U.S. Department of Homeland Security on Monday to explain why the agency plans to reduce its aerial surveillance on the Texas-Mexico border. In a letter to DHS Secretary Jeh Johnson, the lawmakers said the cut to a requested 3,850 hours of aerial detection and monitoring in 2016 amounts to 50 percent less coverage than recent years. “Given the recent surge of migrants from Central America and Cuba along the southern border, we believe DHS should request more surveillance and security resources, not fewer,” Abbott and Cuellar wrote in a letter. The pair also reminded Johnson that in September, Abbott’s office asked the DHS for more aerial resources and U.S. Border Patrol agents but that the request was never acknowledged. A DHS spokesperson said the agency would respond "directly" to the governor and the congressman. Monday’s request comes as CBP is reporting a new surge in the number of undocumented immigrants crossing the Rio Grande. From October to December of 2015, about 10,560 unaccompanied minors entered Texas illegally through the Rio Grande Valley sector of the U.S. Border Patrol. That marks a 115 percent increase over the same time frame in 2014. The amount of family units, defined as at least one child and adult guardian or parent, has increased by 170 percent to 14,336 in the Rio Grande Valley. The El Paso sector also saw 1,030 unaccompanied minors, an increase of almost 300 percent. In Monday’s letter, the pair also requested a detailed breakdown of how the DHS determined the reduction in aerial surveillance was warranted and information on how staffing and operation levels would be affected. While Abbott has spoken extensively about illegal immigration from Mexico and Central America, the letter marked the first time Abbott has referenced a recent surge of Cubans coming into Texas. Abbott visited the island nation last year to explore expanding trade between Cuba and Texas. During that trip, he spoke about the current trade embargo but not the migrant issue. During the 2015 fiscal year, about 28,400 Cubans entered Texas through U.S. Customs and Border Protection's Laredo field office, which extends from Del Rio to Brownsville. That’s compared to about 15,600 in 2014. The surge came after the Obama administration announced in 2014 its plans to re-establish ties with Cuba, leaving many Cubans fearing they will lose a special designation that allows them to apply for legal residency status, or a “green card,” after living in the country for a year. Cuellar and U.S. Sen. John Cornyn, R-Texas, have called for the repeal of that designation.